Charles Hecht is a partner at Wolf Haldenstein where he serves on the Business Practice and the Investor Protection litigation groups. 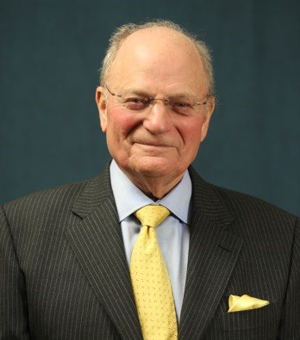 Mr. Hecht has over fifty years experience in securities and commodities transactions, litigation, and arbitration. Mr. Hecht joined Wolf Haldenstein in 2010. Prior to joining Wolf Haldenstein he was the principal or sole partner in a law firm specializing in securities transactional and litigation representation and worked for the Securities Exchange Commission’s Division of Corporate Finance in Washington D.C. Served as lead or co-lead counsel representing both institutional and individuals in cases ranging from securities and commodities fraud to constitutional and contract disputes which has resulted in over fifty published decisions. Provided expert testimony before the Internal Revenue Service with respect to the impact of proposed tax regulations on preferred stock hedged with commodity futures and options. Serves as an arbitrator American Arbitration Association and COMEX arbitrating matters related to commodities, securities and complex business disputes. Provides counsel to institutional and individuals in corporate, securities and commodities transactions and governance. Public companies, private companies, hedge funds and entrepreneurs as well as well as investors in shareholder derivative and class action suits. Mr. Hecht was a Sculptor in Residence Pickled Art Institute-Beijing, China, from 2004 to 2011 and has exhibited in major museums and galleries in China, Germany, studios currently in Beijing, China, and Pratt Institute, Spain and the United States. He is also a recognized artist with studios in Brooklyn and Beijing. Mr. Hecht is a member and frequent lecturer for the New York State Bar Association Securities Arbitration Committee, has lectured for various continuing legal education courses for commercial banks, programs for attorneys and has contributed his time and services to various charitable organizations and has and served as the Chairman of the program on securities arbitration in 1995. Mr. Hecht is an arbitrator for the American Arbitration Association and COMEX. Mr. Hecht has authored articles on mergers and acquisitions, earn outs, commodities, hedging, derivatives, and arbitration jurisdiction and damages and he serves as a legal columnist for smartpros.com, an online newsletter for financial professionals since 2005.